Kyocera Corporation (herein Kyocera) and Tokyo Century Corporation (herein Tokyo Century) announced that Kyocera TCL Solar LLC (herein Kyocera TCL Solar) has completed construction of a 28 megawatt (MW) utility-scale solar power plant in the town of Taiwa, Kurokawa District, Miyagi Prefecture, Japan. The company has developed this 28MW solar power plant in collaboration with Tokyo-based Tsuboi Corporation and started operations in late June 2018. This is the company's first solar power plant in Miyagi Prefecture and its second largest solar power plant following the 29.2MW solar power plant in Tottori Prefecture. 103,950 Kyocera solar modules will generate an estimated 33,000 megawatt hours (MWh) per year — enough electricity to power approximately 11,100 average households*1 and capable of providing power to almost all the local households in the town of Taiwa which is adjacent to Sendai City, the heart of the Tohoku region. With more companies entering Miyagi Prefecture's largest industrial park in this area, it is experiencing urbanization and population growth. The company hopes its solar power plant will be a local symbol of supporting people's lives and developing the local community while coexisting with the region's rich nature. 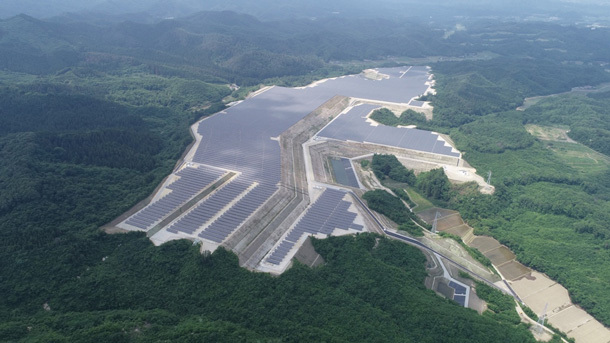 Kyocera TCL Solar has constructed solar power plants in 67 sites across Japan including this 28MW plant, with approximately 258.1 MW*2 of total output since the company was established in August 2012. Kyocera TCL Solar, Kyocera and Tokyo Century remain committed to promoting renewable energy as well as contributing to environmental protection and the creation of a sustainable society through their solar energy business. Electric power sales destination Tohoku Electric Power Co., Inc.